Home » Type » Animation » Cʹmon! Kara Mucho Stickers! 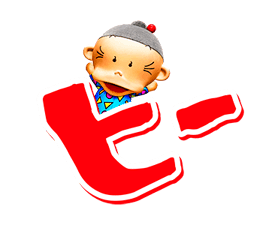 http://www.line-stickers.com/ – Cʹmon! Kara Mucho Stickers! Line Sticker | To celebrate 30 years of sales, Kara Mucho is bringing you animated stickers featuring actors from their popular commercial. Friend Kara Muchoʹs official account to get them! Available till January 5, 2015. Name LINE Sticker: Cʹmon! Kara Mucho Stickers! Copyright : © 2014 Koikeya Co.,Ltd. Shamitabh – It is Mixture!